A few months ago I placed a hugeee order with Feel Unique (most being sale/discounted items lol) and within that order I bought this gorgeous eye shadow palette by theBalm! 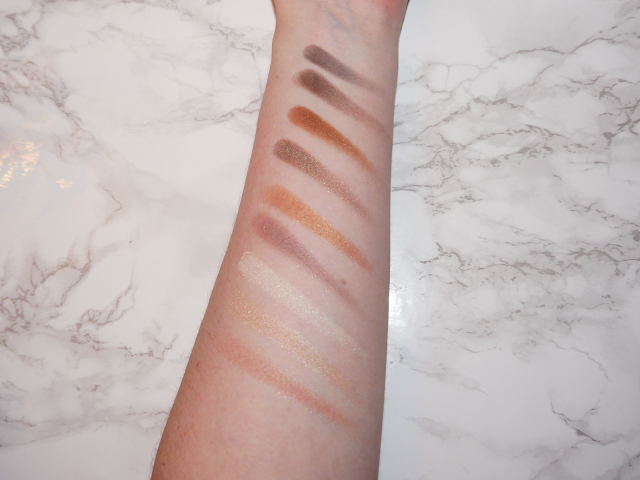 It's such a lovely palette - I had to do blog post on it! The colours are very Autumnal and are perfect for this time of the year! This is one of the first eye shaodw palettes that I've ever bought from theBalm. I love the names of all of their palettes. They are all such gorgeous colours and are so wearable. They can be worn any occasion. Such lovely colours! I've never had any palette from the balm! I love theBalm products, I need to get my hands on the new Liquid Lipstick range but I love this palette in particular, the last shade is so beautiful. These shades are gorgeous, definitely right up my street! It is so pigmented..love those shades!